Baseball Announcer 1: Hall of famer Whitey Ford now on the field pleading with the crowd for some kind of sanity. 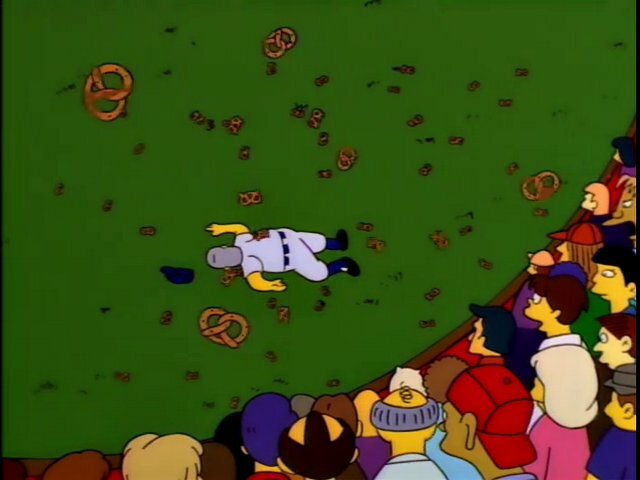 Baseball Announcer 2: Uh-oh and a barrage of pretzels now knocking Whitey unconscious. 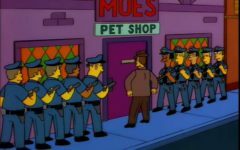 Baseball Announcer 1: Wow, this is, uh…this is a black day for baseball. 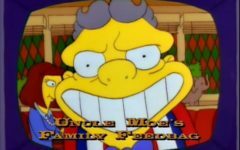 There aren’t many Simpsons episodes that focus almost exclusively on food as The Twisted World of Marge Simpson. The fact that both the Italian and Japanese mafias get involved just makes things that much more entertaining. 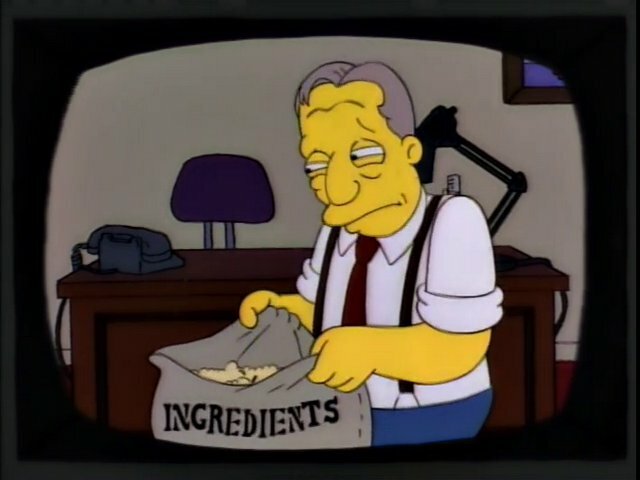 Despite being featured heavily throughout the episode we’re never given a clear ingredient list or instructions on how to make the soft pretzels. 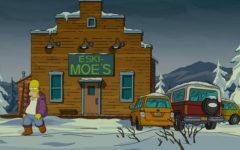 Thanks a lot, Simpsons writers! Fortunately, there are lots of recipes online and most involve the same general ingredients and techniques. 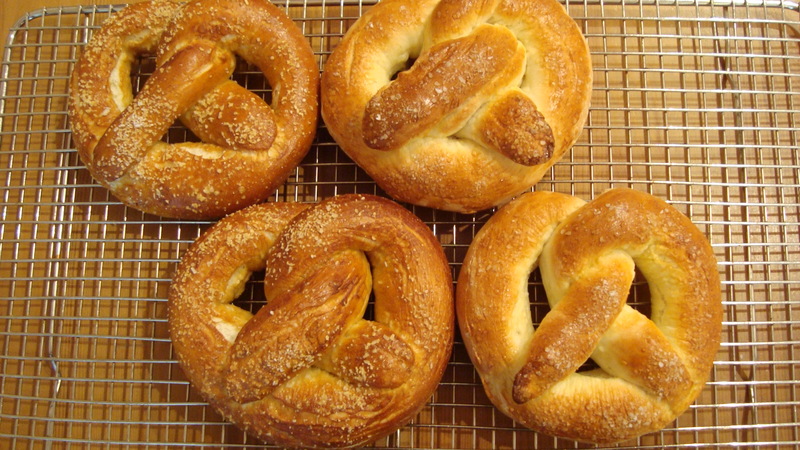 There is an ongoing debate on whether you should “prime” pretzels with a baking soda bath before putting them in the oven. I ended up trying both techniques (no bath and with a baking soda bath) but I honestly didn’t notice much difference in taste or consistency. If you’ve had a different experience, let me know. 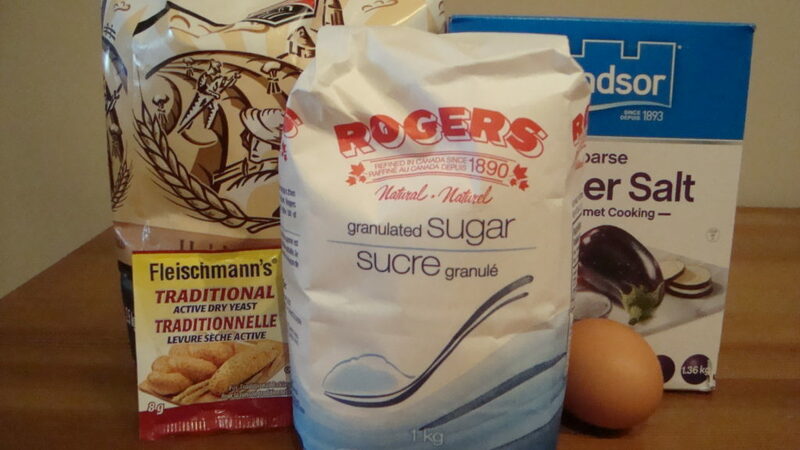 Open your bag of ingredients. Check for millipedes, ewww. Preheat oven to 425 F and line baking sheet with parchment paper. Dissolve yeast in warm water and stir until mixed. Next add salt and sugar until mostly dissolved. Add flour slowly until dough is thick and continue adding flour until dough is no longer sticky. Roll the dough onto a floured counter and knead for 2-3 minutes. Roll into a ball and cut off pieces of dough to roll into pretzel shapes. Roll dough into a long “rope” section and continue stretching as the dough will want to shrink back into itself. Once the rope is the desired length, form into a pretzel shape – nice instructional “how to” here. In an open bowl, whisk the egg. Place both sides of the pretzel into the egg wash before placing on the sheet. Sprinkle the pretzels with salt. Bake for 10-15 minutes depending on desired consistency. Make sure the Official Pretzel Inspector approves before you eat them! 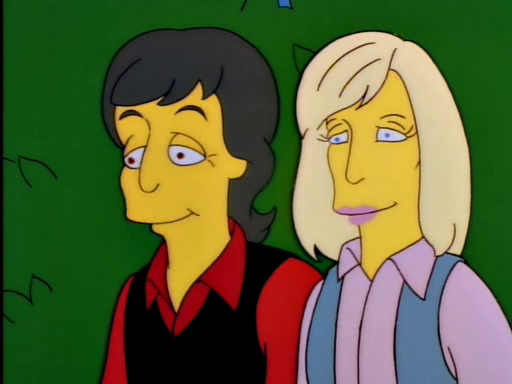 …I have to go now.